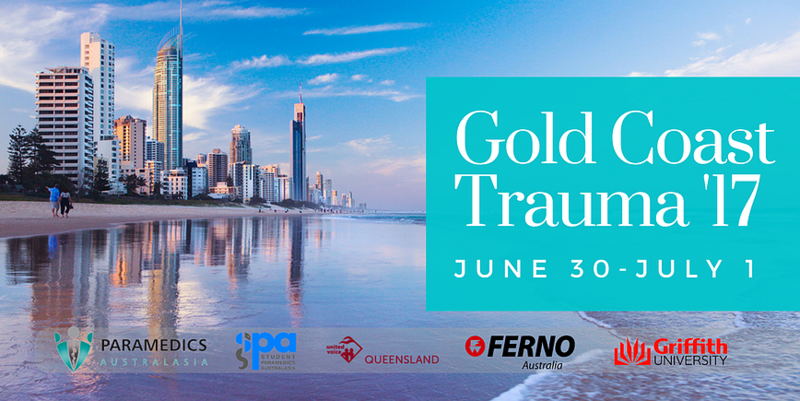 Student Paramedics Australasia, along with Paramedics Australasia Qld, are excited to announce their upcoming program "Gold Coast Trauma" to be hosted at Griffith University on the 30th of June to the 1st of July. This is one professional development event not to be missed. Come along and immerse yourself in this comprehensive two-day workshop aimed at skill development in the trauma setting. Experienced and highly trained Critical Care Paramedics from Queensland, along with highly skilled and experienced clinicians from Team Australia EMS will be conducting master classes in airway, breathing, and circulation management before putting these skills to the test in simulated scenarios. Please direct event enquiries to dylan.williams@studentparamedic.org.au. Special thanks to Ferno Australia, United Voice Queensland and Griffith University. Tickets are on sale now. Places are limited so get in quick!